With an international market presence since 1996, Arcontia International AB, a wholly owned subsidiary of LECIP HOLDINGS CORPORATION, is a leading producer of contactless smart card readers and terminals for e-ticketing and e-payment. At IT-TRANS 2014, Arcontia will be showcasing its latest innovations and technologies for automatic fare collection (AFC), including its latest contactless ticketing terminal, the ARC3300T5 validator for ticket and payment validation. The ARC3300T5 validator from Arcontia is an interactive ISO 14443 A/B contactless terminal that offers fast and convenient ticket validation, smart card reload and contactless payments. ARC3300T5 is fully compliant with the entire MIFARE family, including MIFARE Plus, MIFARE DESFire EV1 and MIFARE UltraLight C, as well as supporting Smart MX and Calypso. For enhanced user convenience, the validator houses a 5.7" TFT colour touch display, four physical buttons and four coloured LED lights. Moreover, it is available with Ethernet, GPRS/UMTS, WiFi and GPS for online communication and remote device management. ARC3300T5 is a proven ticketing solution that has been deployed in numerous Automatic Fare Collection (AFC) systems worldwide, offering faster, more convenient ways of paying and quick passenger throughput. Its latest features include full audio for enhanced user interface, Power over Ethernet to simplify installation and maintenance, as well as being fully rail certified, ensuring reliable performance and withstanding a variety of environmental factors. 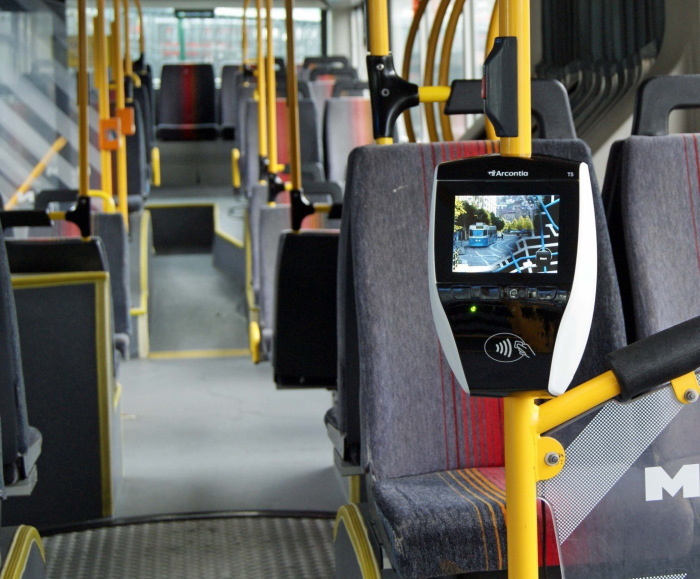 Whether it is for onboard or stationary use, the validator can easily be integrated with different ticketing and payment applications. With a powerful CPU, a series of high speed communication options and advanced functionality, the ARC3300T5 validator is a reliable and cost-efficient solution for any modern cashless ticketing or payment system. Visit Arcontia at IT Trans on February 18-20, 2014 to experience the ARC3300T5 and learn more about Arcontia.